Most Iraqumentaries focus on the personal perspective of the war, with filmmakers embedding themselves next to frontline grunts in Fallujah or providing troops with camcorders to capture an average GI Joe’s experience. 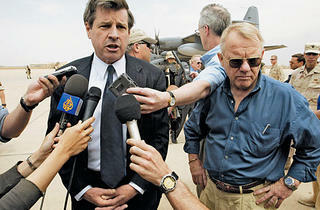 But in case you’ve forgotten our current conflict’s checkered past, Charles Ferguson provides a quick refresher course. No End in Sight ticks off the greatest hits—using 9/11 to justify an invasion, Saddam’s statue being toppled, mission accomplished—and repeatedly reminds us that Rumsfeld’s cabal didn’t have the nation’s best interests at heart. Once the movie gets around to the postoccupation moment when Iraqi hearts and minds are lost, more detailed damnations start coming out: Those expected to establish law and order are stranded without resources, policies of “de-Baathification” fuel the fire of anti-American militancy, and mercenaries are left to randomly shoot at passing vehicles. As a CliffsNotes history lesson, Ferguson’s doc is a much needed attempt to uncover what happened; as a film, it’s a jumble of questionable choices. An intertitle proclaiming that this is “a story about people who tried to save a nation” is a non sequitur, appearing after news footage and talking heads have already established the exact same notion. (Still, thanks for confirming.) 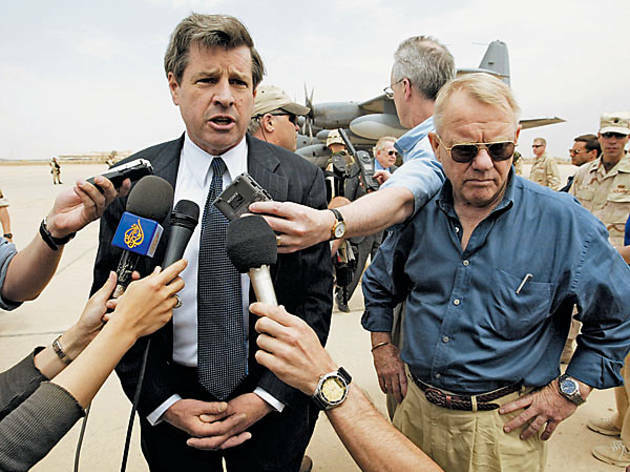 Major events such as the Abu Ghraib scandal are conspicuous in their near absence. And an abrupt cut from a June 2006 memo to Rumsfeld’s resignation five months later is just bad journalism—so nothing significant whatsoever happened in the interim, huh? No one expects a definitive document on a debacle still in progress, but that doesn’t justify glaring omissions and aesthetic missteps.